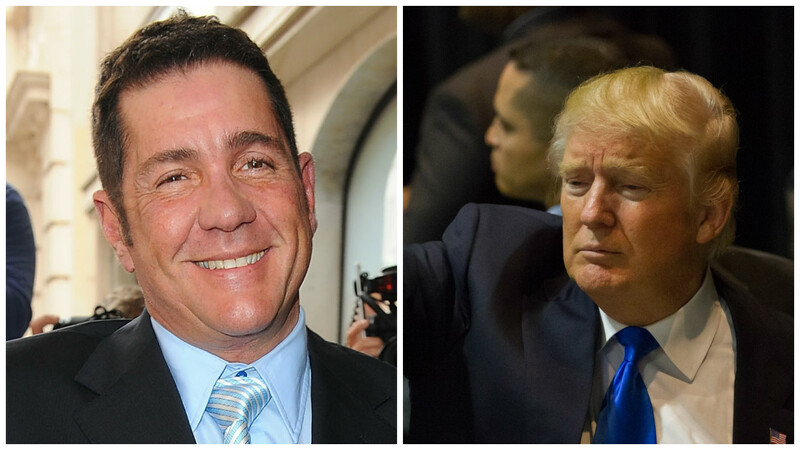 Dale Winton has done some deplorable things in his life – Hole in the Wall immediately springs to mind – but the perma-tanned presenter and DJ may have sunk to new depths after coming out as a massive Donald Trump fan. Winton revealed that he is a big fan of US politics in an article written for Conservative Woman in which the 61-year-old also revealed his appreciation for all things Trump. “As one who has spent his entire professional life being ridiculed for my ‘fluorescent tanned complexion’, I felt compassion for the man before he even uttered a single word,” he writes. Something of an ardent conservative (who knew?) Winton revealed he is no fan of Barack Obama and proceeds to trot out all the familiar lines when it comes to the Apprentice star. “He loves his country and he’ll do his best to protect it from anyone who threatens its constitution,” he adds. And if there is one guy who knows about being authentic it’s Dale Winton – a man who would have you believe that orange skin tone is real and that, yes, he really did marry Nell McAndrew for a BBC Three documentary all those years ago. Quite whether Winton knows what we could all be in for if Trump is sworn into office is anyone’s guess but if a nuclear winter does one day arrive and the world becomes a radiated wasteland. In the meantime, console yourself with the knowledge that Winton was once on the receiving end of an excellent Gotcha from TV tosspot Noel Edmonds – watch the clip above and enjoy!